If you would like to make a financial donation to TACA you can make an online donation at maranathasda.org/giving. You may also obtain information on registering your child for Tallahassee Adventist Christian Academy, via email to info@tallyaca.org. Each Wednesday from 7 - 8:00 p.m., join us for CHILDREN’S BIBLE STUDY “KINDLING A FIRE”. We will learn Bible basics, the purpose and power of the Bible and growing up in Christ through His Word. PATHFINDER Meeting is every 2nd and 4th Sunday of every month from 10 - 1:00 p.m. Please support our Pathfinder club. Every Wednesday at Noon and 7:00 p.m., PRAYER SERVICE here at Maranatha SDA Church. Join us for prayer and as we continue our study on last day events. YOUTH SABBATH SCHOOL DEPARTMENT is inviting all of our youth aged 0-18 to Sabbath School. Join us at 9:30 a.m. for engaging, encouraging, and uplifting program. ONLINE GIVING IS NOW AVAILABLE! Go to maranathasda.org, click “GIVING;” and follow the directions. REMEMBER: to give towards the church offering and building fund. MARANATHA IS NOW ON FACEBOOK! 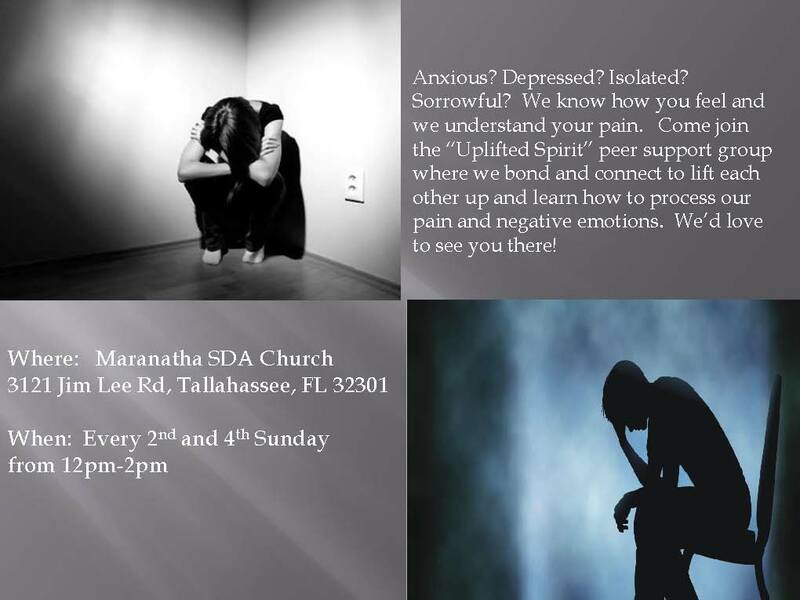 Follow us @ facebook.com/maranathasdatallahassee. UPLIFTED SPIRIT MINISTRY meets every 2nd and 4th Sunday from 12 -2:00 p.m., at Maranatha SDA Church. Bring your pain, anxiety, and fears and come join us as we share, connect, and lift one another up! 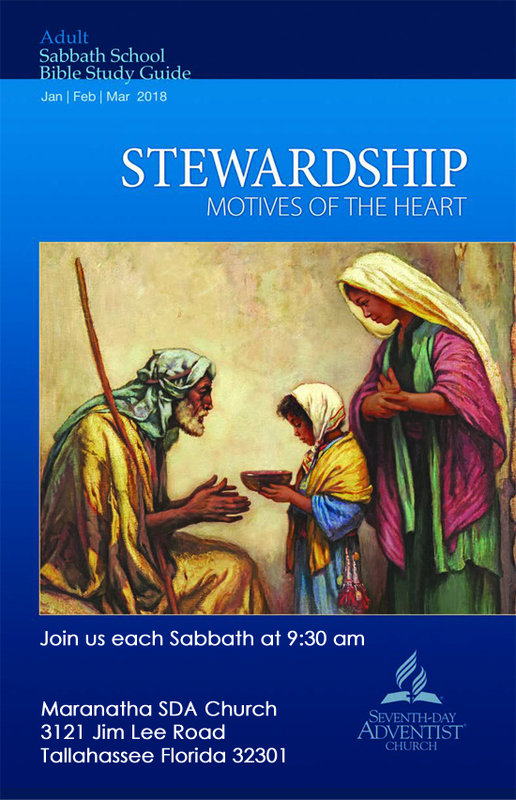 Sabbath School @ 9:30 a.m.
Worship Experience @ 11:00 a.m.
Wednesdays @ Noon & 7:00 p.m.